Hodal, a tucked away town, in the municipal committee in Palwal district, of the Haryana state in India, is a heady concoction of historical sites to cultural attractions. Situated on the borders of the states of Uttar Pradesh and Rajasthan, Hodal has an exhaustive list of must-visit local attractions, that is guaranteed to leave you speechless with unique experiences and sights to behold. The highlight of the place is its rich reserve of cultural heritage and natural attractions. Legend has it, that Hodal has been the former abode of the Hindu deity Lord Hanuman, and hence receives lots of visitors every year. Immerse yourself in the religious, cultural and historical kaleidoscopic experience of Hodal and check out the list of places you must visit. By Air: The closest airport to Hodal is the Indira Gandhi International Airport, located at Delhi, which is at a distance of about 70 km from the town. By Train: The nearest railhead is the Palwal Railway Station, located at a distance of 30 km from the town. The station is well-connected with frequent train services. By Road: The bus terminus of Hodal is located at the heart of the town, and is well connected with all the near-by and major cities of the country. The winter months are the most agreeable time to visit this town. In the months of and between November and March, the weather remains pleasant with an average temperature of 20°C to 25°C. The Gandhi Seva Ashram Museum in Hodal, has an interesting history behind its subsistence. The museum is situated close to the Palwal railway station, and history has it, that it is the very station where Mahatma Gandhi got arrested. On April 10th, 1919, Mahatma Gandhi was arrested here while going to Punjab against the Rowlatt Act. In his fond memory, paying a little homage for his contributions, the Gandhi Seva Ashram Museum was set up. An exhibition is held in the Museum since 1962, where the history and historical details related to Gandhi have been preserved and displayed with absolute care and concern. 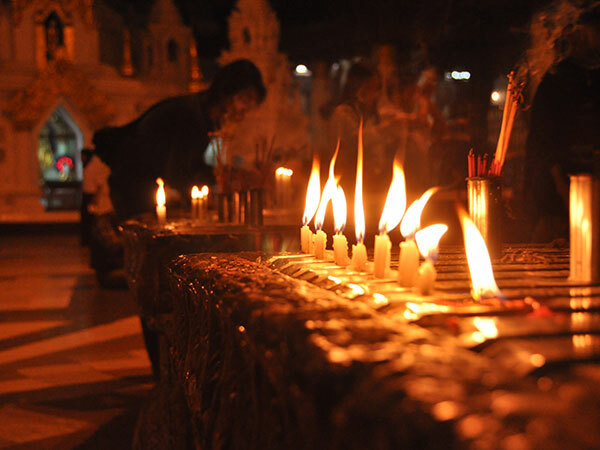 Chameli Van in Hodal makes one of the most important pilgrimage and tourist destinations in the town. Thousands of tourists flock around the shrine to marvel at the interesting happenings going on in the grounds of the shrine. Chameli Van is home to thousands of monkeys and this holy place being so sacred, it is in actuality, an ancient monkey temple dedicated to Lord Hanuman. The temple is always busy with tourists and devotees from all around the world and makes for a popular tourist destination in Hodal. Devotees throng in large numbers and the temple gets over crowded particularly on Tuesdays. Visitors present their offerings of bananas and other fruits to the monkeys hanging around the premises of the temple. The place is also a great attraction for the wide array of colourful migratory birds, from far-off places, it is host to. Hodal is home to several magnificent places with intriguing stories and histories. Anjani Kund, is one such small spring, located in Hodal; it also has an interesting story behind its subsistence. Myth has it, that the origin of this spring dates back to the time when the Hindu mythological figures of Lord Krishna and his mother Yashoda had a little episode near the area. Lord Krishna went missing and his mother came looking for him in this region. According to the stories, Lord Krishna took to his practice of playful misleading, jumped into the kund and appeared as the Hindu deity Lord Hanuman. Yashoda being a worshipper of Hanuman, was elated to have a sight of him and went back home. Since then, this spring is known as the Anjani Kund, one of the very many names of Lord Hanuman. The Kund receives throngs of devotees and visitors on Tuesdays and Saturdays. Hodal is home to several magnificent edifices dedicated to the Hindu deities, and one such is the Sati temple. The premises of the Sati temple comprise a little pond, which goes by the same name, Sati. The temple is, as per the name suggests, is devoted to Goddess Sati. The temple is always busy with tourists and devotees from all around the world and makes for a popular tourist destination in Hodal. Every year in the month of January, thousands of tourists and devotees flock in, around the shrine to attend the Mela organised by the people of the place, where the women folk present their offerings to Devi Sati, while the men take part in various rural sports, like wrestling and other sports, that take place in the temple. The calm and tranquility in the air, make the environs of the shrine so peaceful, that this spiritual sanctum makes for a must-visit spot for the travellers.